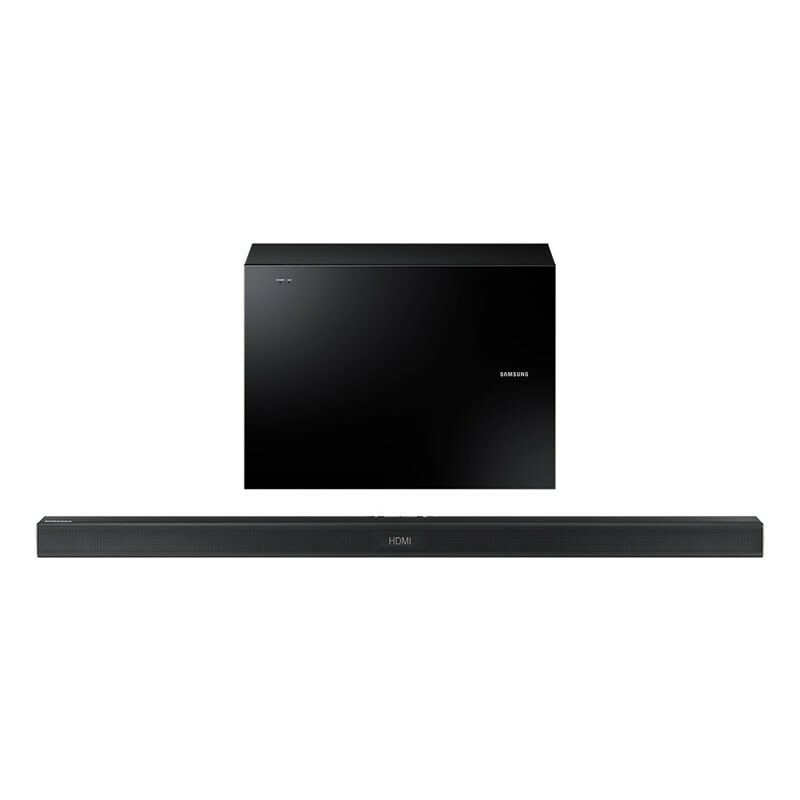 Bring your living room to life with the HW-J550 Soundbar. Its four speakers, which deliver a pure audio experience, will transform your favourite films and TV programmes. Dedicated built-in tweeters and mid-range drivers offer rich, detailed, wireless sound, all backed up by the powerful bass of the subwoofer. Enjoy a more immersive sound experience with surround sound expansion technology. Feel like you are part of the action with lifelike sound that surrounds you on all levels. Enjoy cinema-style technology with powerful bass and natural tones that are a perfect match for your Samsung TV. Get the freedom to connect your soundbar to your Samsung TV automatically without wires, and enjoy superb powerful sound that brings programmes, movies and music to life. TV has never sounded so good. Enjoy a sub woofer without the wires. Combine the simplicity of the Soundbar with the thunderous bass sound quality to give you a truly enriching sound environment. The supersonic sub-woofer accompanies the Samsung Soundbar perfectly, and delivers a dynamic and rich bass experience. Plus, with its wireless design, it is super easy to set up and adjust your home entertainment system.